Hey guys, hope your week has been really great and your activity level has been high. Today, I’m here to share 2 more really cool functions in the Jawbone UP3 that I love. For you guys who have yet to read part 1 of the review. Click here! Whenever people talk about the heart rate monitor on a fitness tracker, they will be talking about tracking of heart rate when working out. 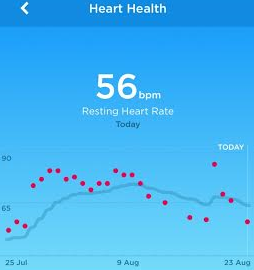 But what many fail to notice is that knowing your resting heart rate is actually a more important function on a tracker. 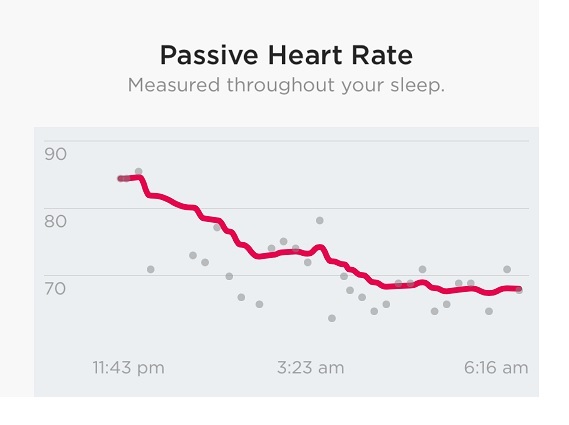 It is also really important to track your resting heart rate when you’re asleep as there are tell-tale signs that the fitness tracker will pick up. The Jawbone UP3 uses their advances multi senor technology to take your heart rate throughout the day. It will even show you your readings throughout the day too! My average resting heart rate when I’m asleep is around 65bpm and when the reading went up to 75 bpm on one night, it prompted me the next morning that my resting heart rate was higher than usual and its guess is that I was dehydrated. And true enough, I lowered my water intake that day as I was preparing for a photoshoot. I’ve been wearing the Jawbone UP3 for 1 month now and here’s a graph plotting my heart rate. I seldom track my marcos but when I’m prepping for a show or a photoshoot, I’ll turn to my trusted food logging app; My Fitness Pal. I’ve been using this app since my uni days and it’s really cool to know that the Jawbone UP3 app is able to link with a big number of independent app. 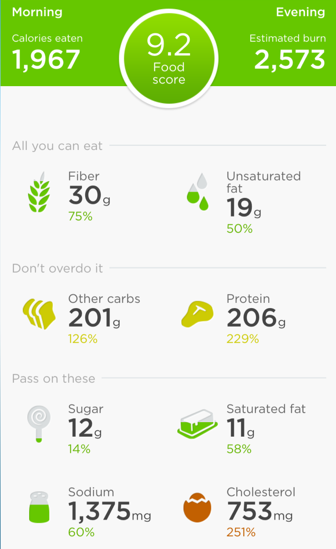 This helps to have all my health & fitness information holistically tracked in one app. I’m currently eating at a slight caloric deficit so as to lean down for a photoshoot. 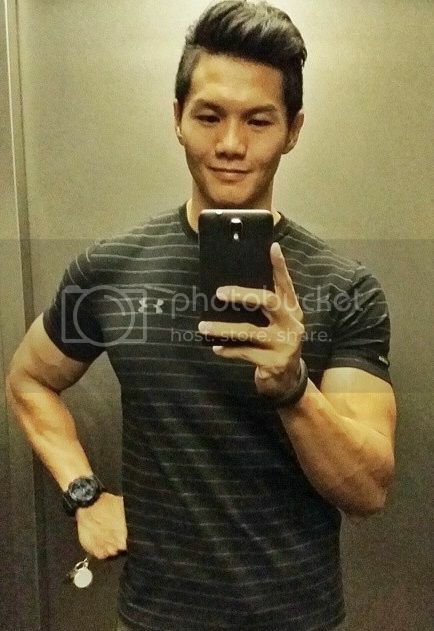 Still keep my protein intake high so that my muscles can recover from all my workouts. After using the Jawbone UP3 for 1 week, I’ve found out a lot more about my life outside the gym and how to improve in those aspects of my life. I have to continue to work on the kind of sleep I’m actually getting as well as to get myself abit more active throughout my weekdays. I personally find the Jawbone UP3 very useful when you’re using it with friends or loved ones. Not only will you be able to challenge each other in different health & fitness tasks, you’ll also be able to know their lifestyle better and eventually help one another to improve.